Warm-weather ready, the Merrell District Muri sandals make it easy to have fun in the sun. 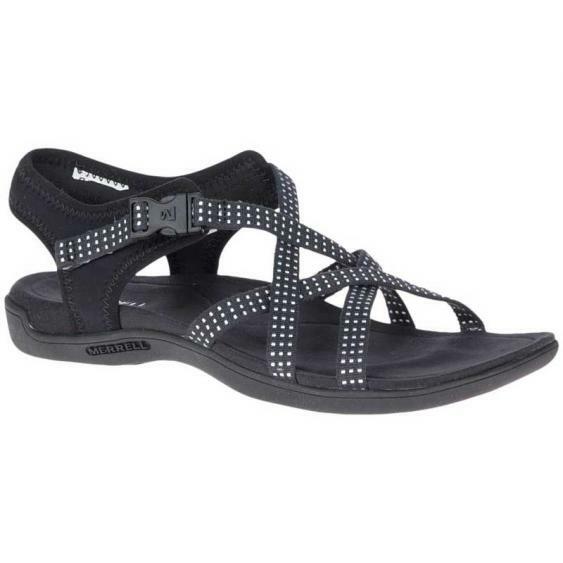 The textile and Lycra® neoprene upper of this women's casual sandal is breathable to keep you feeling cool and the easy clasp offers quick adjustability. The footbed ensures sporty comfort since it features Merrell’s Air Cushion in the heel to absorb shock and add stability. Designed with comfort in mind, the EVA footbed is also microfiber wrapped and contoured. These sandals also have an M Select™ GRIP outsole to lend traction to every step. Summer fun is yours to have with the Merrell District Muri Lattice sandals.